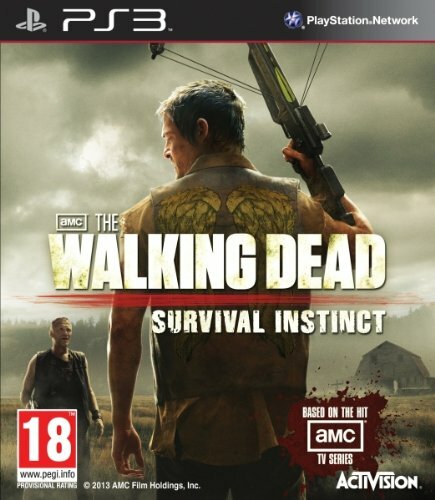 The Walking Dead: Survival Instinct is a do-whatever-you-need-to-survive first-person action game that brings the deep, character-driven world of AMC's EmmyAward-winning TV series onto console gaming systems and the PC. The game follows the mysterious, crossbow-wielding survivor Daryl Dixon, brought to life by TV series star Norman Reedus, alongside his overbearing brother Merle, voiced by Michael Rooker, on a haunting, unforgiving journey across the Georgia countryside. Players will need to tread carefully on this desperate quest, scrounging for food, water, and ammunition to survive against nightmares both living and undead.